A stunning cultivar larger than the species. 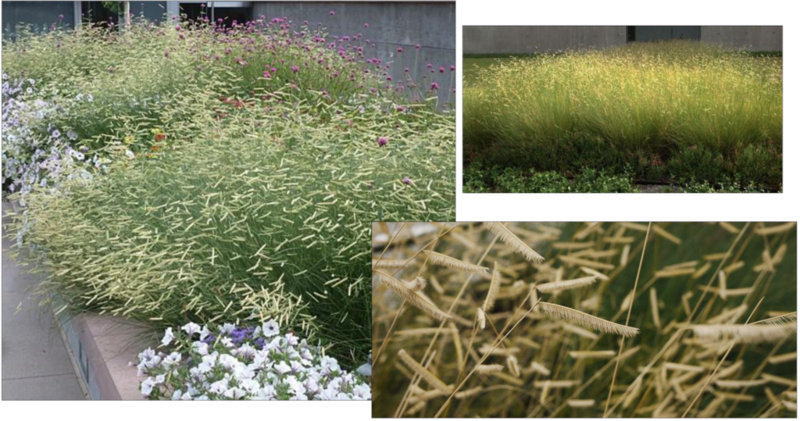 Creates an abundance of horizontal seed heads, which change from chartreuse to blonde and hover above blue green, 2′ stems. Drought tolerant. Long-lasting charm in the garden or containers. Grows 1′ tall, 2′ with blooms. Sun. Perennial.